With summer in full effect, we have been looking for creative ways to stay cool and have fun. I mean seriously. I can only go to the pool so many times. 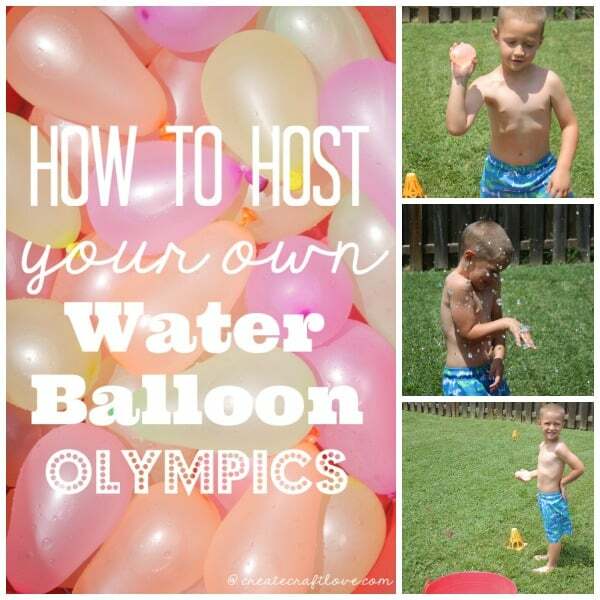 Reed and I came up with Water Balloon Olympics! Little kids, big kids, and adults can participate in the fun. And it only costs a few bucks for the supplies! Our contest includes three different games to get you started! However, this can be adapted or changed easily. 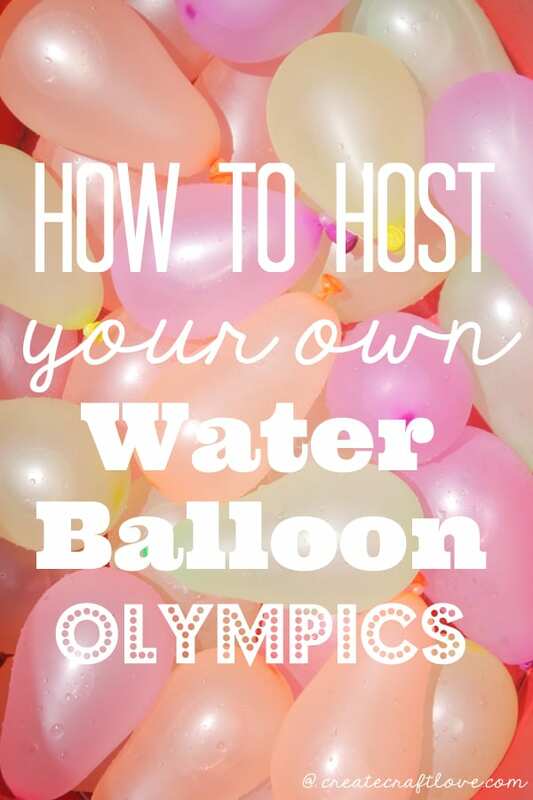 All you need are water balloons, plastic spoons, and two different sized hula hoops. Event #1 is Water Balloon Toss Across. 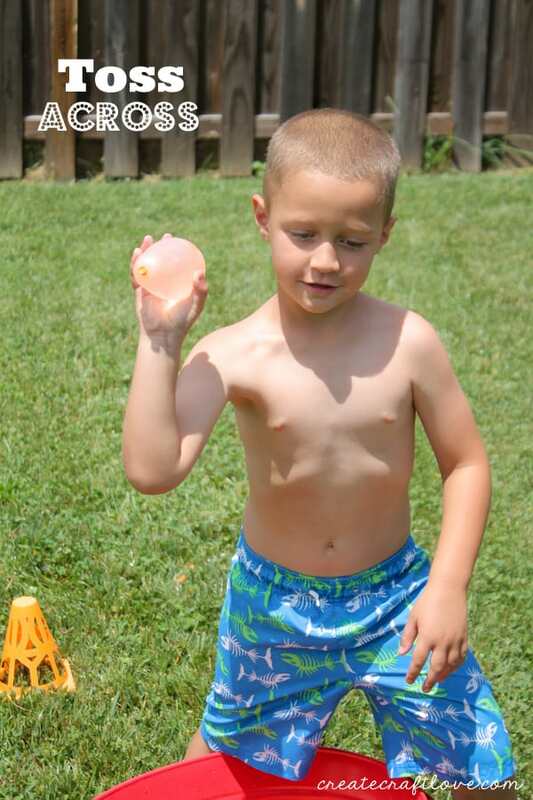 Two people stand one foot away from each other and toss the water balloon. After each person catches the balloon, that person takes a step back and throws it to the other person. This back and forth continues until the balloon pops. Whoever stays dry is the winner. For larger groups, the team that makes it the furthest distance from each other without popping the balloon wins! Event #2 is Spoon Races. We made smaller water balloons for this so they were easier to manage. Set a start line. 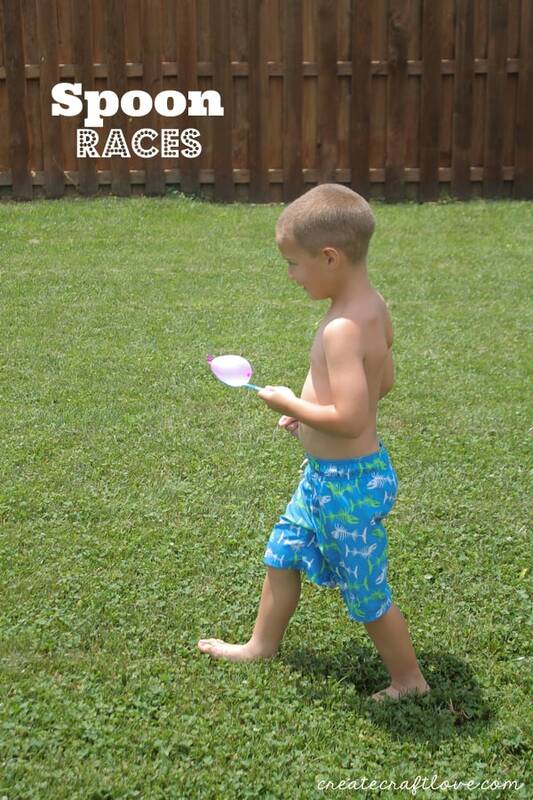 Each person has a plastic spoon and water balloon. First one to cross the finish line without popping the balloon is the winner! 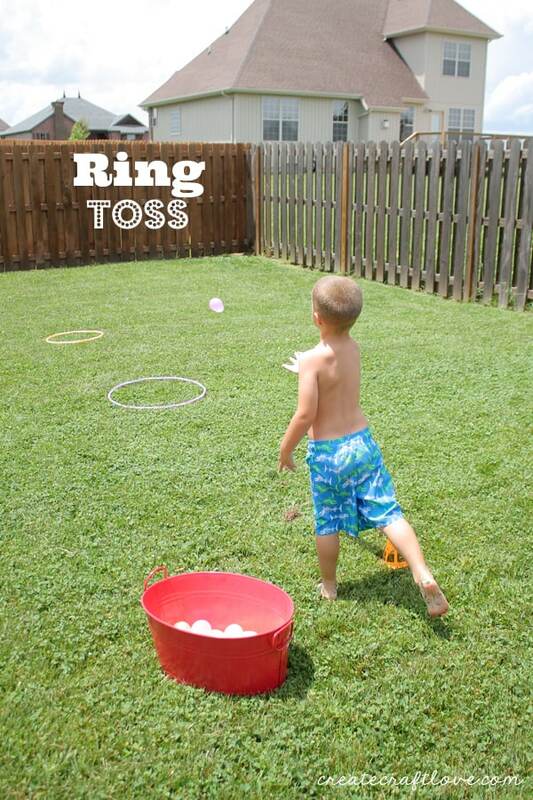 Event #3 is Ring Toss. This is where the hula hoops come in. We placed the two hula hoops in the grass. The larger one was about 8 feet away. The smaller one was about 12 feet away. Each person gets 5 balloons to toss. The larger hoop is worth 25 points and the smaller hoop is worth 50 points. Person with the most points wins! You can add to these games with your own versions too! This is a great concept for summer birthday parties or neighborhood cookouts! What game would you add? !